Men's health issues affect both men and the women in their lives so we joined forces with Movember for our BeerMo 2017 promotion to encourage all men and women - mo or no mo - to show their support throughout November... by simply raising a glass of beer and having a bit of fun. 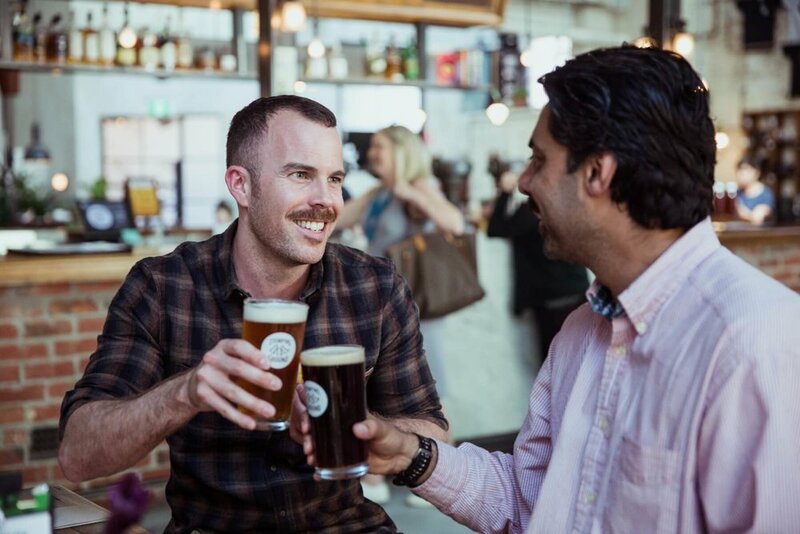 Over 130 bars and pubs around Australia poured Stomping Ground’s gold medal winning ‘Gipps St.’ Pale Ale during November, and helped us reach our target of $75,000 for Movember to help men live healthier, happier, longer lives... and hopefully encourage a few important conversations. To help with starting the conversation, customers and bar staff shared hundreds of photos of themselves wearing our #BEERMO hop moustache coasters! For more information about how Movember are tackling Men's health issues, visit their website. Our Partners who helped with the BeerMo initiative.